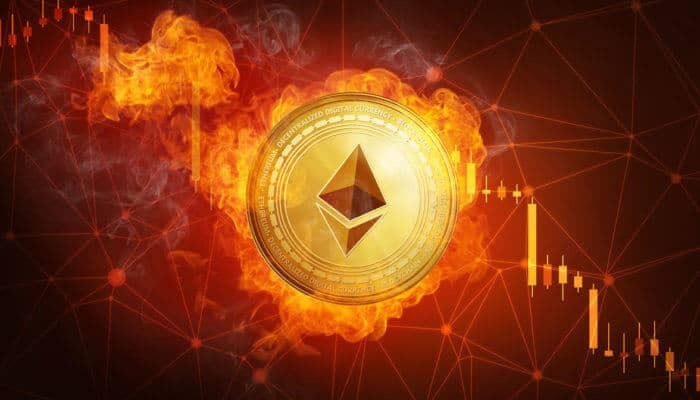 Ethereum Price Predictions For 2019 - Will ETH Hit $500? Ethereum is, without question, among the cream of the crop in cryptocurrency. More than simple digital cash in the vein of Bitcoin, Ethereum’s creators found a way to build all kinds of applications and autonomous functionality into their innovative blockchain. And even though ETH prices are as low as they’ve been in many months, the Ethereum blockchain is on the verge of its most significant upgrade in more than a year. Is now the time to invest in Ethereum? Here’s why we think Ethereum could go as high as $500 (or beyond) in 2019. At press time, Ethereum is selling for $118. At its all-time high, ETH prices crested $1,400 on some exchanges. A price crash this severe might lead some to believe that Ethereum is dead? Fortunately for Ethereum investors, this remarkable blockchain is anything but. Ethereum has undergone some key transformations during the past year’s prize doldrums. If anything, Ethereum is stronger than ever before. If and when the bulls return to the crypto markets, ETH prices are going to shoot up. Let’s unpack the reasons why we’re so sure this is the case. Ethereum sold at ICO for pennies. That’s right. For an ETH price of less than $1, you could buy a digital coin that is now worth more than $100. That’s astronomical growth, and far beyond initial Ethereum predictions. 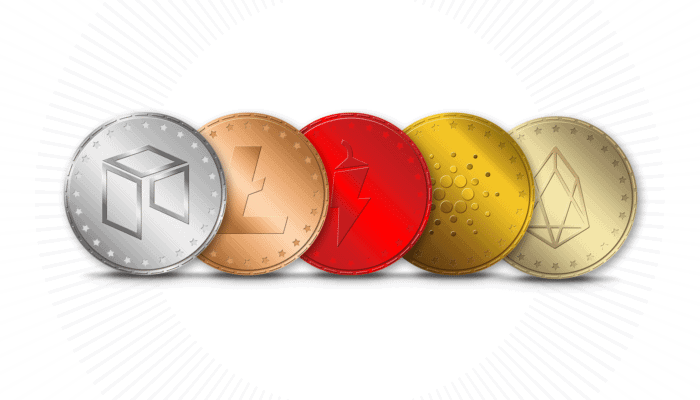 Even though Ethereum once used to be even more valuable, the fact that it is still being sold for so much more than its initial sticker price indicates that people still have expectations about this cryptocurrency. They find it useful. We see Ethereum’s current price not as a grave marker, but a statement of optimism that the best is yet to come. Ethereum has more developers working on it than any other blockchain project, even Bitcoin. When Ethereum made its millions during its ICO (and the subsequent r price gains), it spent tens of millions of developer talent. Ethereum hired programmers, engineers, game theorists, mathematicians, philosophers, and all kinds of other smart folks, greatly boosting Ethereum predictions. This impressive braintrust has turned Ethereum into a technology network of mind-blowing complexity. A deep bench of talent doesn’t guarantee a project’s success, but it doesn’t hurt either. More and more retailers (online and in meatspace) are starting to accept Ethereum as a payment option. And even if you want to spend Ethereum somewhere that doesn’t accept it, there are apps like The Big Coin which will allow you to do so. Ethereum is much more than money, but it working well as digital cash is just another reason to invest in Ethereum in 2019 and a key for our Ethereum predictions. At the time of this writing, there are more than 2,400 applications built on Ethereum. For those who are new, the Ethereum network works kind of like the internet, in that people can create applications on top of it. The difference is that, while the internet is stored on servers like the massive ones Google and Facebook operate, Ethereum data is stored on millions of devices around the world. It’s everywhere and nowhere, at once. We’ll stop before we get too esoteric. The point is that Ethereum has a ton of decentralized applications running on it. 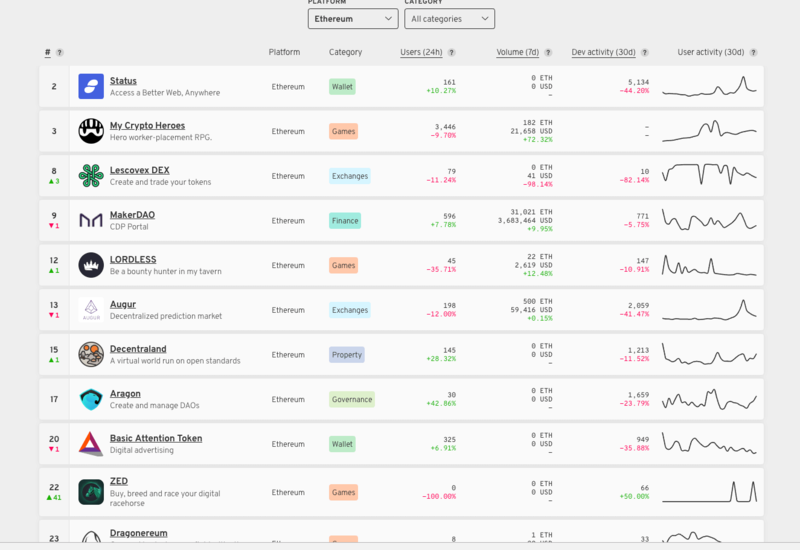 In fact, most of the top 100 cryptocurrencies and altcoins are actually running on Ethereum. Ethereum may be waiting for its killer app, the one that breaks it into true mainstream success, but until then, millions of people, institutions, and governments are already using Ethereum. That alone should make our Ethereum price predictions for 2019 at least slightly optimistic. 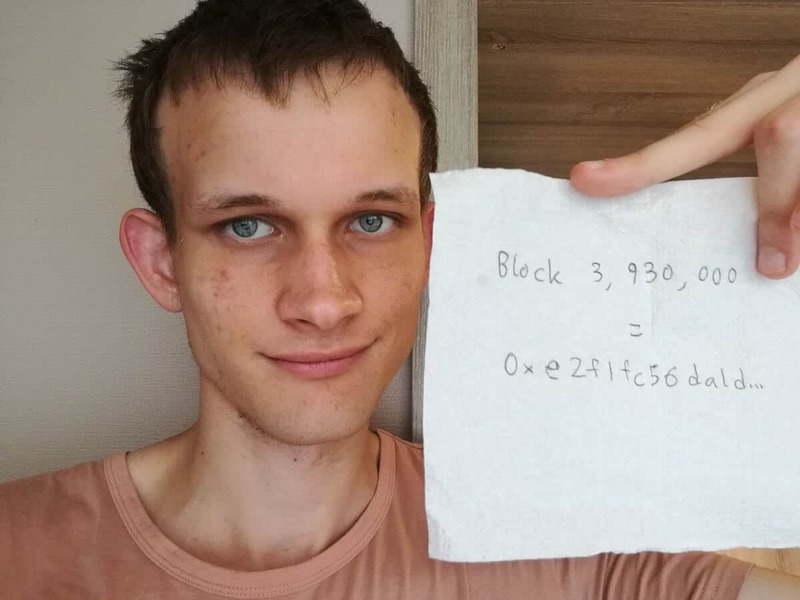 Vitalik Buterin, the lovable nerd who created Ethereum as a teenager, may be the smartest and most influential human being in cryptocurrency. He’s also one of the most humble. Even though many see Buterin as essential to the survival of Ethereum, Vitalik has been working to make himself obsolete within Ethereum’s inner workings. If Vitalik were to blast off into space and never return, Ethereum would continue to function in the hands of highly qualified developers, team members, and global volunteers. Vitalik is widely published on computer science issues. He also maintains a kind and light-hearted social media presence, while encouraging everyone else in the community to be thoughtful, reasonable, and ethical. He created his own programming language when he was a teenager. He volunteered for Bitcoin when he was a child. The dude has brains and leadership skills. He’s one of the main reasons people still have confidence in Ethereum, even after a very bad year for ETH prices. 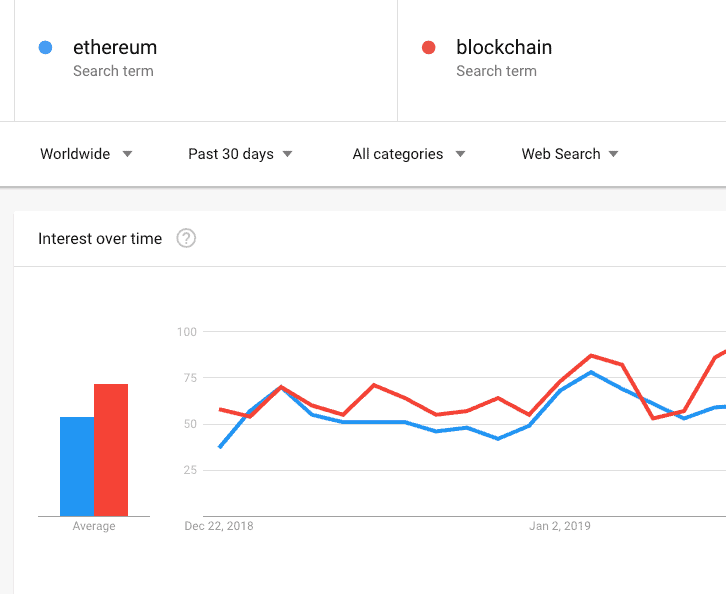 in the image above, you can see a comparison in Google trends of the relative popularity in search results for “Ethereum” and “Blockchain”. On some days, there are more people on the internet talking about Ethereum tokens than those talking about the technology it’s based upon. In short, if blockchain succeeds, Ethereum is likely to be right there with it. Ethereum is front and center on the world’s biggest crypto exchanges, like Coinbase, Gemini, and Binance. Ethereum is regularly discussed in print and web outlets like Forbes and Fortune. Vitalik Buterin (discussed above) is a celebrity and a household name (in some households). If the bulls return to the crypto markets, ETH prices will be some of the first to increase. If you believe that a crypto recovery is in the works, now might be the time to invest in ETH tokens. 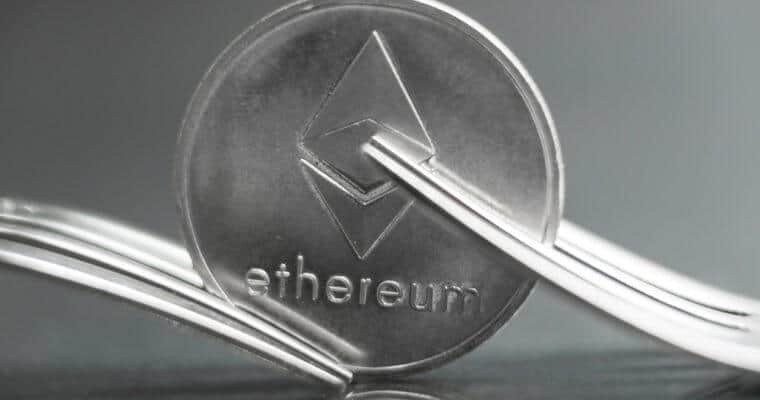 Ethereum’s long-awaited Constantinople hard fork will implement many important technological updates which will make Ethereum more scalable and future-proofed. There are a million technical details which we could unpack, but you can research those at your leisure. 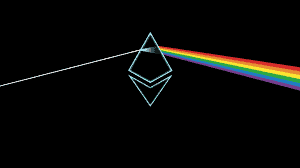 For our purposes, it’s enough to understand that Ethereum is equipping some vital new upgrades, more or less according to plan, and that the Ethereum community is united behind these changes. The blockchain will work much better as a result. One of Bitcoin’s worst attributes is its mining protocol. Basically, Bitcoin miners consume way too much electricity, making them bad for the environment. The model is also slow, even though it’s secure and has other benefits. Ethereum needs to speed up if it is to become a worldwide mainstream technology. Therefore, abandoning its proof of work (the mining model very similar to Bitcoin’s) in favor of a faster, greener Proof of Stake system will give Ethereum the edge it needs to succeed in the modern industry. Currently, every Ethereum transaction has to be checked for authenticity by every Ethereum miner. This takes forever and makes Ethereum slow and more expensive than it should be. Ethereum is moving toward “sharding”, a system by which only small chunks of Ethereum miners/stakers will validate any one transaction. This will allow the network to validate many more transactions at once, greatly increasing throughput. This will make Ethereum more scalable. Ethereum investors are anticipating this important change, and it’s just another reason to invest in Ethereum in 2019. Raiden is basically Ethereum’s Lightning Network. Bitcoin’s Lightning Network takes traffic off of the Bitcoin blockchain, and only asks Bitcoin to do security work when it’s absolutely necessary. Raiden does the same for Ethereum, taking pressure off of the overworked Ethereum system, increasing Ethereum speeds, and lowering Ethereum transaction costs. Raiden is a cryptocurrency in its own right, and one of the most rapidly developed altcoins in the entire industry. It won’t modernize Ethereum’s blockchain all by itself, but it will do a big part in improving Ethereum’s scalability potential in the next couple of years. It’s completely impossible to predict how the crazy crypto markets are going to change over time, but we’re still going to try. Ethereum has better fundamentals than nearly any other cryptocurrency. For all the reasons we’ve already described, here’s what we think it going to happen in each quarter of 2019. Q1 is the quarter we’re in at press time, and ETH is selling for just over $100. We think that the Ethereum price is going to stay in this neighborhood for at least a few more weeks, if not longer. There hasn’t been any major news to catapult the crypto markets into a new wave of FOMO frenzy. Until then, Ethereum prices will stay severely depressed. This might mean that now is the time to invest in Ethereum during 2019. Assuming modest gains for Ethereum by winter’s end, $200 would not be surprising to see in the spring. $200 is still a fire sale when compared to Ethereum’s all-time high price of around $1,400. This price point may not be enough to put late 2017 Ethereum investors back in the green, but it will be a sign of things to come and a step in the right direction. Successful implementation of Constantinople in February may help solidify this Q2 result. Maybe we’re kidding ourselves, but we think that the next crypto market recovery will be more sober than the last one. If major cryptocurrencies like Bitcoin and NEO do in fact bounce back, Ethereum will surely be among them. A reasonable growth target, assuming all of this, would be $350 for Ethereum by Q3 2019. By Q4 2019, we hope that many of Ethereum’s technological updates will have been fully implemented, resulting in significant improvements to the network. This will have fueled a new push for development on the Ethereum platform, and mainstream applications will start to appear. In this situation, $500 might look like a lowball estimate a year from now, but this is our cautiously optimistic prediction from January 2019 looking forward to December 2019. At the end of the day, there are so many factors which contribute to Ethereum price changes, we can only wait and hope for our desired outcome. Ethereum has a lot going for it, and a tremendous amount of momentum behind it. Still, Ethereum has plenty of competitors, and its enormous ambitions may prove too big to succeed. Still, we’re optimistic. If you think that our analysis of Ethereum price potential is reasonable, now might be the time to invest in Ethereum for 2019, before these low Ethereum prices are gone forever.